A three day workshop on “Konkani Wikipedia” was conducted on 11th to 13th March 2019 in the Language Lab of St. Xavier’s College, Mapusa- Goa. This event was jointly organized by the Department of library and the Department of Konkani. The workshop started with a welcome address by the Principal of the college Fr (Dr) Jeronimo D’Silva, who stressed on the importance of developing the Konkani language. Mr. Fredrick Noronha was chief guest at the function. In his speech he mentioned the significance of developing Konkani Wikipedia and praised the organizing team for conducting this workshop, which would benefit Konkani language and Goan students. The workshop details were elaborated upon by Fr. Luis Gomes (Assistant Professor) in the presence of Mr. Dharma Chodankar (HoD, Department of Konkani), Dr. Keshav R. Dhuri (Librarian) and resource persons: Mr. John Noronha and Ms Vaishali Parab. The first day commenced with a session by the resource person for the FY students (Konkani) which included a general overview of Wikipedia and the Konkani Wikipedia movement. This was followed by hands on training about Wikipedia user page and account creation where the participants were asked to create accounts on Wikipedia. They were also taught about basic editing (general formatting) on sandbox using Visual Editor and uploaded articles, which they had previously typed, on eminent Goan tiatrists. A total of 46 articles were uploaded on the first day on the Konkani Wikipedia database. Day two workshop sessions were conducted by Ms. Melissa Simoes, Mr. Darshan Kandolkar and Mr John Noronha. SY students (Konkani) got an opportunity to upload 60 articles on the Konkani Wikipedia database. The final day for the TY (Konkani) students began with introductory comments by Fr. Luis who welcomed the resource persons Ms. Melissa Simoes,Mr. John Noronha and Ms Vaishali Parab. After general training, 33 articles were uploaded by the TY participants. 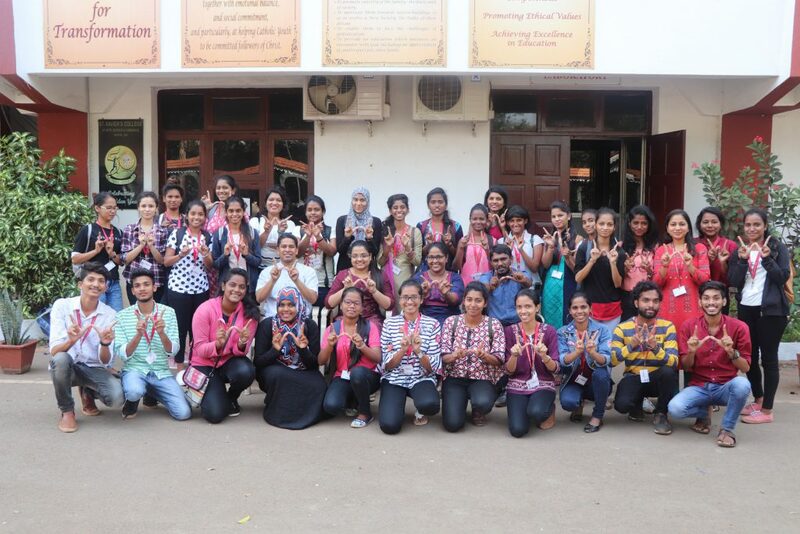 A total of 139 students participated in the three day workshop and successfully uploaded articles on the Konkani Wikipedia database. The workshop ended with the distribution of certificates to all the student participants.